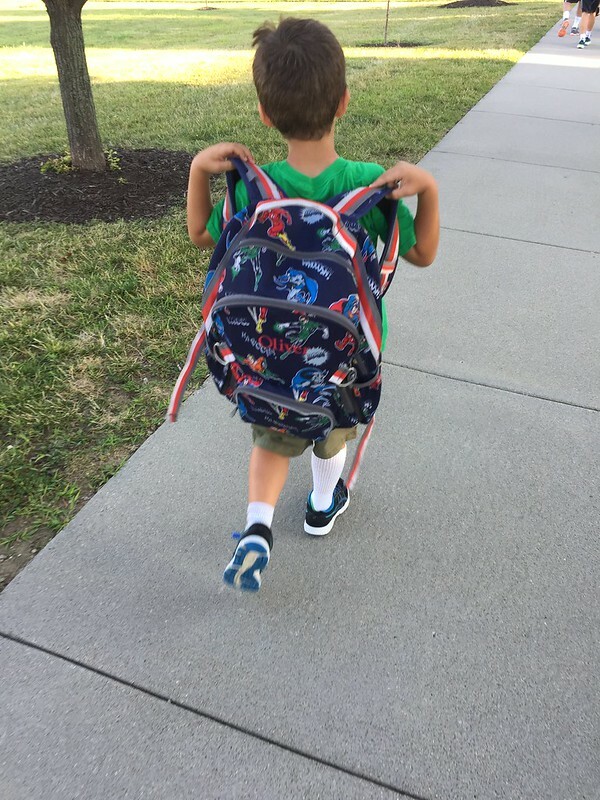 Weekly Wrap-Up: Back to School! It’s back to school time – and back to long workouts again! First up school: I have a first grader now! This transition is easier for all of us so far than kindergarten was. Thank goodness experience counts for something! Thank goodness elementary school teachers are so patient, too. 🙂 We still haven’t gotten around to printing the lunch menu, so Oliver is not going to school with his lunch option picked (which is what they request) other than us saying “Shoot, no menu – Just go with #2. You normally like that!” I’m sure I’m not the only parent in that position. This week, I got in all of my workouts (even if they’re still not on the right day! ), some nice stretching AND implemented my no caffeine after 3 pm goal. Wow am I am sleeping better since that started! Apparently that was disrupting sleep more than I realized. Monday No workout on the schedule, although it ended up being a really high step day thanks to a morning a spent doing presentations at Girls Inc in Omaha. I do lots of walking around when I do small group discussions! Tuesday 35 minutes of easy walking, plus walking from our house to school for back-to-school night. Oliver was so excited to see his classroom! Thursday Speed work day, with 8 rounds of 60 seconds speed – 3 minute recovery (confession: only 2 minutes recovery, but I added on the extra minutes walking to take O to school!). Today’s speed work was all about effort more than pace because I’d tweaked a muscle in my leg when I slipped in the rain Wednesday. Walking definitely help stretch that out, even if it did keep me from walking as fast as I’d have liked. Saturday 5 minutes warm up, 25 minutes power walking (where I was finding fall colored leaves on the road already!) and 5 minutes cool down. I keep ending up in the position where I’m working out on Saturday and Sunday thanks to getting distracted from the schedule. I need to be sure that I’m doing the easy walk for the week on Saturday rather than the tempo walk, to avoid two “hard” workouts back-to-back. Saturday we also made some absolutely divine crispy spring rolls that Darrell & I learned at our Thai cooking class earlier in the summer. They were easier than I expected and came out great in our air fryer (rather than deep frying them). 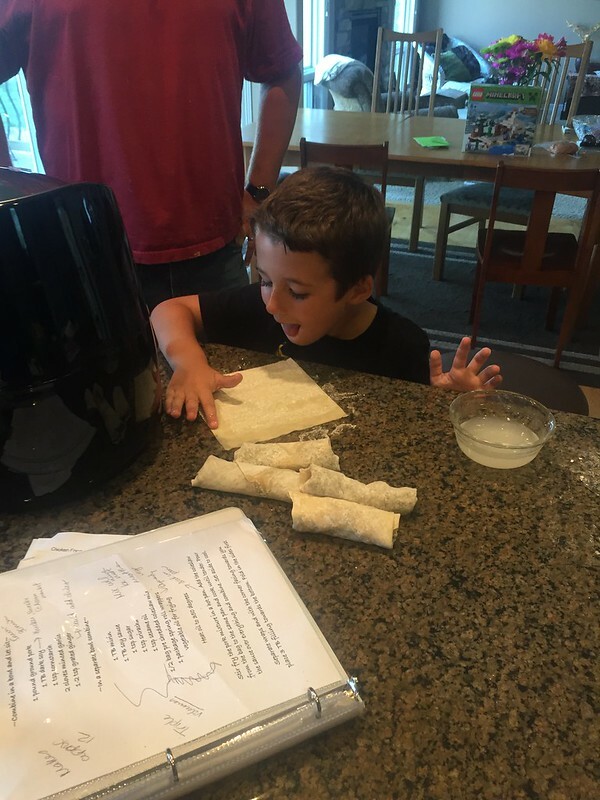 Even Oliver loved them and had a great time making them with us. If Paula (who runs the Creme de la Creme cooking class where we learned this) ever posts the recipe, I’ll link it. Do you love my notes I’ve got scribbled all over my copy of the recipe? LOL! Sunday This felt like a REAL workout and reminded me that I’m training for a half marathon. I had 6 miles on the schedule, so I headed out with my water and a mini Lara bar (still not sure how much fuel I need for walking as opposed to running). I walked from my house, toward our neighborhood taco bar. Darrell and Oliver came to pick me up when I got 6 miles along the way, to take us all the rest of the way. I really like walking TO something as opposed to in a loop around the neighborhood and especially liked walking to TACOS. I was definitely hungry after 6 miles of walking, which made me think fondly of my running days. I confess that I got down about the no-running thing on Sunday. This weekend is my “run-i-versary” and for the first time in the five years since I started running, I won’t be out running to celebrate that milestone. 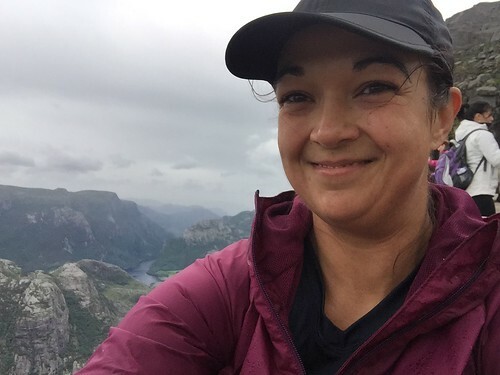 (Even reading the blog just now to find the name of that post to link, I found myself thinking how much happier I seemed when I was running as I skimmed posts!) This weekend, I’m also doing another writing workshop for our faculty, which is the same thing I was doing six months ago when my stupid neck herniated in the first place. And of course, this weekend while I walking, I had to jog across an intersection for a few seconds. That afternoon, I had horrible pain in the same spot it hurt when my disc herniated. It only lasted a few hours and I think it was a muscle strain thing, but it was still a VERY unwelcome reminder. I really want to go back to being a runner. It’s a small, selfish thing but that’s my truth. Sigh. Here’s hoping I get the chance! All right, enough moping. 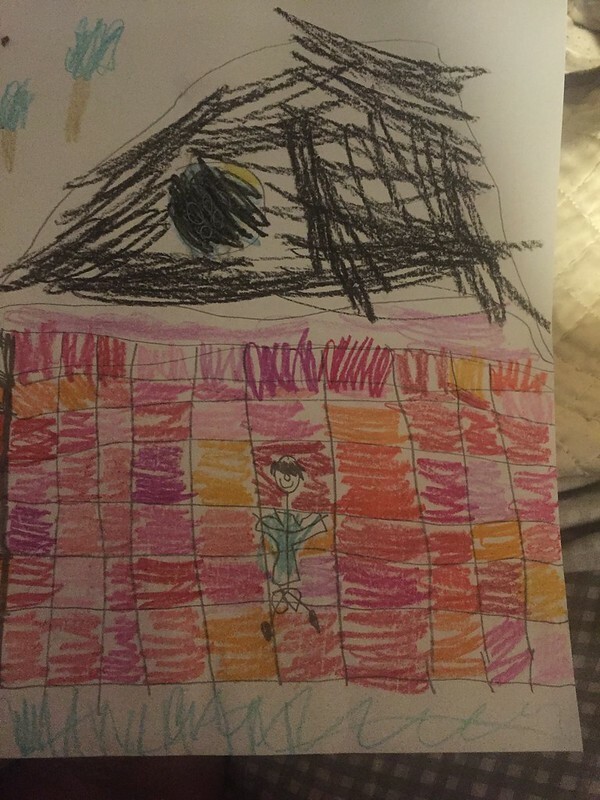 Here’s some happy: A first grader’s view of the eclipse. This week, I’m up to 7 miles on Sunday. I’m swamped Saturday, so I definitely won’t have to worry about avoiding back to back hard workouts (writing workshop and birthday party Saturday). My plan is to do my speed workout today, an easy walk tomorrow and my tempo walk on Friday. Know what I did yesterday? Strength training! I know – it’s been ages! Maybe if I give myself two stickers for strength training I’ll be more motivated to keep it going? I’ll also keep up my no-caffeine rule, which is definitely helping my sleep, and stay on track with eating through this weekends events (more on that coming later this week!). What are your plans this week? Anybody get awesome views of the eclipse? 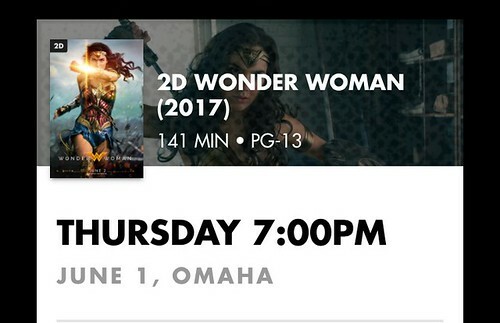 We were 98% or so in Omaha. It was still fun! I’m loving today’s Tuesdays on the Run topic: Three wishes for the running genie. 🙂 Thanks as always to Patty, Erika and Marcia for hosting! I’m going to be totally honest – wish #1 is that I get to keep running. In reading about cervical herniation and how to prevent recurrences, I see a lot of references to avoiding high impact activities. My thudding running stride probably counts. Sigh. I’m going to discuss it with the physical therapist, but definitely not going to run until I do get clearance from her. I’ll do whatever I have to do to keep my nerves happy (hate not having normal hand function!) but I’m definitely wishing that I get to keep some running in my life, even if it is short runs from now on. I’m very glad I ran a marathon this year, just in case that was my last hurrah with running. Okay, let’s assume I get wish #1 (because genies – duh! ), wish #2 would be a single, perfect for every weather jacket. No more wondering how many layers I need or over/underdressing for my crazy Nebraska weather – just one perfect piece to put on that would create the perfect climate bubble. Bonus points if that bubble somehow extended to include my head and my hands so no more crazy layering was needed there! Wish #3? Hermione Granger’s Time Turner! I’d love to be able to get in my runs easier amidst busy working mom life. A time turner, so I could literally get more hours in my day and be in more than one place at the same time, would be just dreamy. 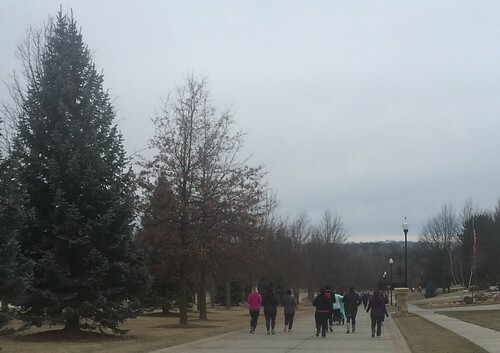 Today’s Tuesdays on the Run topic is all about our love of running. As I’m working toward getting back to running, it’s good to remind myself WHY I haul myself out of bed on dark winter mornings. Thanks as always to Patty, Marcia and Erika for hosting our link up! My dear running, I love what you do for my legs and my heart and my lupus. Every time I notice my leg muscles as they walk up hills or stairs or run through mile after mile, I’m grateful for running because I know that’s where those workhorses were developed. Every morning I don’t take blood pressure medication, I’m grateful for running, which I suspect had as much to do with normalizing my blood pressure as weight loss did. The last few weeks, with my lupus flaring, I remind myself that my best lupus days are the days I run for an hour or more. It really makes a huge difference in my symptoms (once I get them settled down enough that I can get out to run!). I love that you reward my efforts with shiny new medals, which make me smile every time I see them. I love that you’ve given me an excuse for spending hours alone, which this introvert adores. 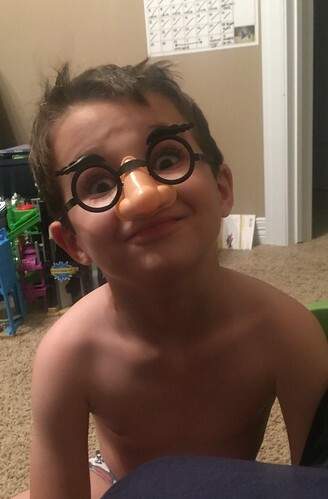 I love that you’ve given me a way to play with my son that’s fun and healthy for both of us. 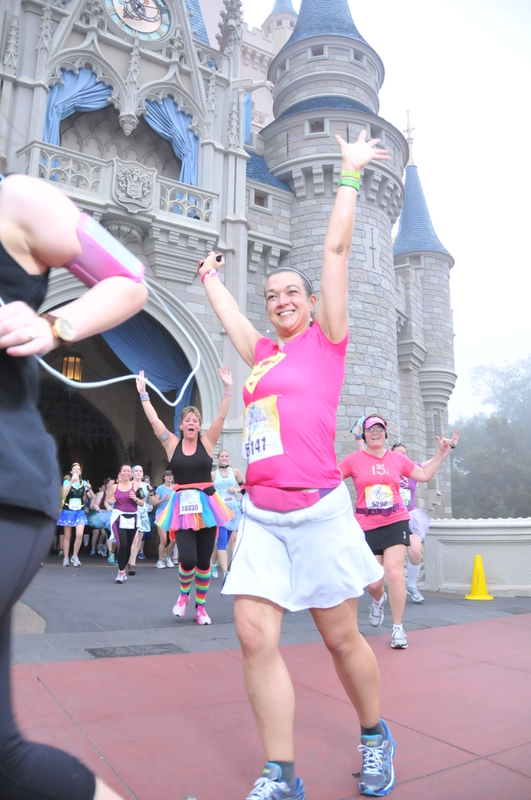 These are possibly my favorite race photos ever! I love that you’ve given me a whole new view of myself. 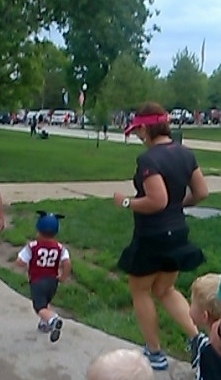 The fact that Oliver said his mom was Supermom while I was running my marathon meant everything to me. Running, you’ve taught me that I can do anything. I love that you’ve added days to my life and quality to those days. I know I’m a healthier, happier person because of you. Why do you love running (or tennis or Crossfit or whatever your workout of choice might be)? For Tuesdays on the Run this week, we’re rating our month. I love this idea in general, but am a little tickled by it in terms of this particular month as I’ve had weeks at a time when I didn’t run. Kept running through the last bit of my taper, just like the plan outlined! I didn’t intend to stop exercising all together for those two weeks post-vacation. It turns out that I have a hard time making myself exercise if I’m not training. Oops. However, it means I got lots of rest and recovery after the marathon so that’s a good thing, right? 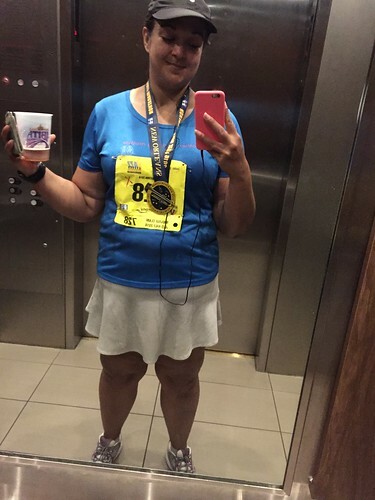 All in all, I can’t give the month that included my first marathon anything less than an A. However, next month I’m stepping it up in mileage and speed work and will have a much steeper grading curve for myself. How did your January go? Thanks as always to Patty, Erika and Marcia for hosting our link up! Can I say I’m back in the saddle when I’ve really only run once in the last few weeks? Sure I can – it’s Monday, so let’s aim for an optimistic note! Seriously, I took a nice LOOONNNGGG rest from the marathon and now it’s time to move again. It turns out that I sleep in and find excuses not to exercise if I’m not actively training for something. That alone makes race registrations worth it, right? Thankfully, this week starts a new training plan so I’m ready to go again. I don’t have much to wrap up from last week, in terms of work outs but other goals are going well. I tore myself away from the news enough to run on Sunday. I cooked new foods including a keeper of a Greek chicken salad and that sushi salad I showed you a pic of earlier this week. I tracked my food all week and finished up a book on my shelf (Kitchens of the Great Midwest – interesting collection of intertwined stories). I also meditated every weekday, although weekends are still a struggle in that regard. Still, lots of wins for my goals for 2017 which is good amidst all of the chaos in our little world. I’m traveling this week to DC for work. Work travel has been a bigger disrupter of my food and fitness plans over the last year than it has been in the past, so I’m outlining a clear set of goals for myself to help me stay on track. – I have two workouts scheduled while I’m gone: a 3 mile easy run (Tuesday, after I arrive) and a speed workout (Thursday morning). Both can be done on the treadmill fairly readily and are thankfully short, so I have no excuse for missing them. It’s always fun to pack as much workout gear as work gear when I travel for business. – I’ll be at a Marriott and while my meeting includes a continental breakfast, I will make the choice to get oatmeal and fruit as a healthier option from room service before I head down to the meeting. I don’t have to give in to pastries. I can take advantages of other options. – I can still meditate in the morning and may even have the time to try out some longer meditations without my usual home duties. Like I’ve done with travel in the past, I’m going to take advantage of real time accountability and post my food on Instagram. I used to be great about staying on track when I traveled, but for the last year have fallen into the well of french fries and pastries far too often! This will be especially important as I expect travel to be a little more chaotic than usual in and out of DC this week. Stress eating won’t fix anything. This week marks the first week of my training plan for the Flying Pig weekend in May. I’m running the 5K and 10K at Flying Pig on Saturday, followed by the half marathon on Sunday. My primary goal is to support the amazing Meg through the hills of the first half of her marathon (as the courses overlap at the beginning). I’m going to use essentially the same training plan as I did for my back to back half marathons in the fall, with the addition of speed or hill work for one of the weekday workouts as I’ve really noticed the lack of that kind of workout in my running. I’ll definitely want to be ready for the hills that occur along that half marathon course! Have you run Flying Pig? Leave me links to your recaps or advice on the course below! Also, Skyline Chili: Love or hate? I’ve never tried it but think that’s probably going to be part of the visit. Racecations verus Local Weekend Warrior? I’m really entertained at the timing of this week’s Tuesday’s on the Run topic as I am on a racecation as this posts. Clearly I’m a fan of “racecations”! Thanks as always to Patty, Marcia and Erika for hosting our link-up! ⁃ Making the race a big event can be very motivating! Honestly, I don’t know if I’d be able to mentally motivate myself to run for 6 hours around Omaha. The appeal of making it an event and of running from park to park was so helpful! 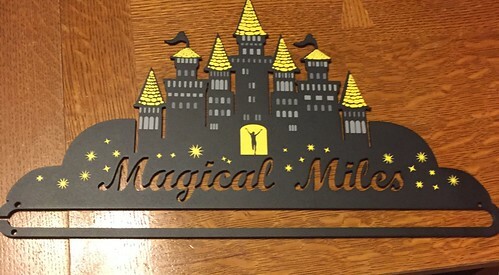 It also helped that I was coming back to the site of success with my first half marathon (Princess Half Marathon at Disney in 2014). ⁃ Getting away from day to day responsibilities can make it easier to rest mentally and physically before the race. At home, I’d be running errands, doing chores and working up to the last moment. There are disadvantages too, beyond the cost. ⁃ You’ve got to have everything with you because there’s no running back home for something at the last minute. ⁃ You lose the chance to practice on the course itself, which can be really helpful so that you know what to expect. ⁃ You have to resist the urge to play tourist and tire yourself out before the race. That’s a particular risk with Disney races! A nice hybrid option I use a lot is to look for races anywhere I’m traveling (like the Jazz Half Marathon this fall). If I’m going somewhere for work or family, might as well take the chance to try a new race while I’m out there anyway. Google your location and dates or check out the running club in the town you’re visiting to find options. Which do you prefer: racecations or running local weekend races? 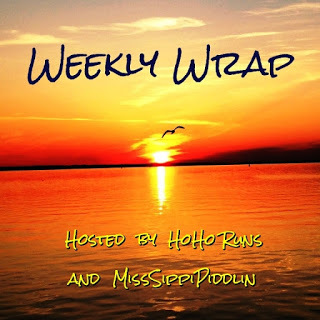 Weekly Wrap Up: ONE WEEK to go! If all goes according to plan, by this time next week I’ll have a shiny new marathon medal. Who knows – I may still be wearing it. 🙂 I’m fairly certain I can do this, but it will be awfully nice to be done with it and KNOW that I can do it, know what I mean? Thankfully, this week of taper went a little better than last week. It’s good to be finishing this training cycle on a good note. This is definitely the best I’ve ever done in terms of sticking to the taper workouts. Good sign, right? Monday Swimming with Oliver and Darrell, which was more of a workout than I expected! In addition to lots of playing, we had Oliver “teach” us the things he was learning in swim lessons so he could get some practice in. He’s progressing to things like backstroke and breast stroke that I don’t actually know so I’m going to have to look into some adult lessons – or at least YouTube! I did a few laps, which felt good and hard. In 2017, I’d like to get into the pool more regularly to swim some laps. 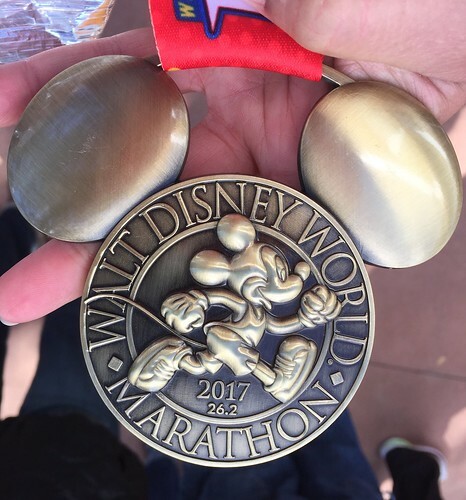 I’m still working on my concrete goals for 2017, so I’ll pin down exactly what that looks like after the marathon. 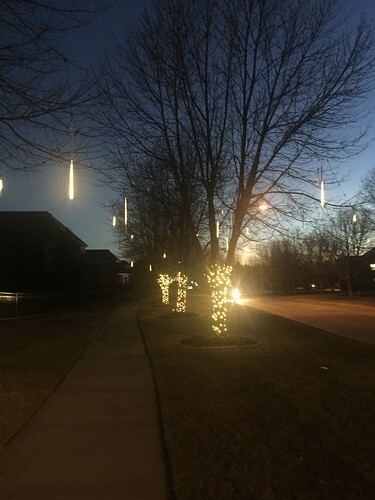 I’ve seen those lights in the trees all season, but never managed to see them on. They were lovely! 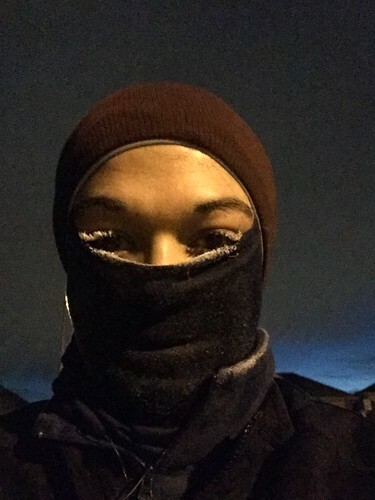 Wednesday 6 miles on the schedule – pushed to Thursday because of work. Thursday 6 miles, with a mix of treadmill and road miles (because I seriously underestimated the chill in the wind and couldn’t stay out long! ), plus an hour plus of a yoga class at the gym with a focus on hamstrings. I felt sore in a different way after yoga, but looser too. I wish I’d been better about going to yoga all through training! Friday Walking, no run, but lots of self-care time including a facial and lunch alone at a new place. After the 5K (during which I was running a good 90 seconds/mile faster than I have been in months with no real effort to do so! ), I headed back out for the rest of my 8 miles. Other than scaring Darrell because my phone died in the cold and he couldn’t reach me, it was a great run to end my training with! 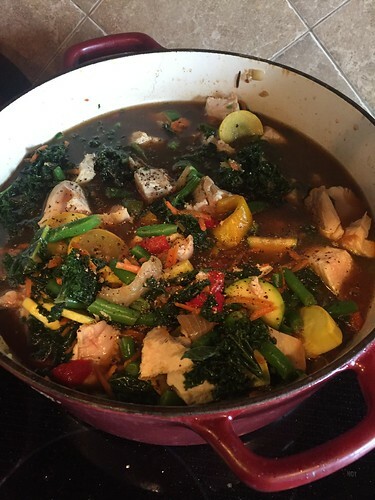 This week, I have a few easy runs to shake things out and a big focus on eating and drinking well for the marathon, like I talked about on Friday. 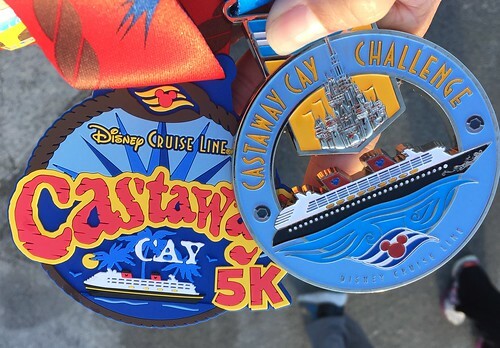 Thanks to my anxiety about the race and about leaving Oliver, I’m definitely feeling a little lupusy with mouth sores and sore fingers (yuck) but at least my legs feel okay. I’ve still got a sort of unhappy stomach, but I think it is nerves at this point, not any residual stomach bug. If I stick to healthier foods, it feels better, so I definitely need to resist the urge to dive into french fries and pizza to soothe my nerves! Fingers crossed, so far the weather looks perfect for travel and for the race. Let’s hope it stays that way! 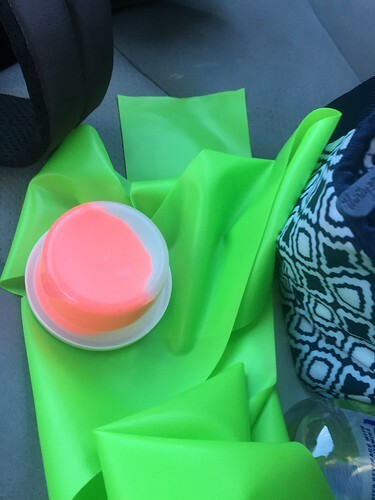 Any last minute marathon prep advice for me? Thanks as always to Tricia and Holly for hosting our wrap up! This has been a roller coaster of a year. Today, the little girl is me is a more than a little heartbroken about Carrie Fisher’s death. As a girl, she amazed me as a totally different kind of princess. Princess Leia was tough and smart and brave – so different from your average Disney Princess. I appreciated that role and her performance in that role more and more as I grew up. As an adult, I respected her advocacy for the role of women in society (I LOVE her response to a dad complaining about the bikini scene here!) and for support of mental health services. Hers was a voice I enjoyed and that will be missed. Personally, 2016 has been a year of big professional successes, lots of new stresses in the world, continuing on the lupus learning curve and of course, lots of running miles. Those miles have come with their own ups and downs. – I’ve learned that I can do a lot if I keep putting one foot in front of the other. I can run 20 miles in marathon training. 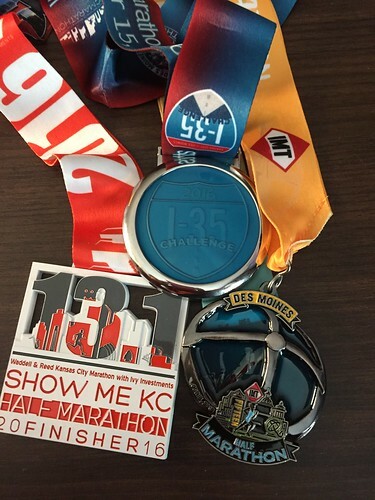 I can run back to back half marathons in the I-35 challenge. I can keep running in a race when I know I’m nowhere near my target times. – I met a few of my running and fitness goals for 2016, by running the I-35 challenge, hiking Pulpit Rock (definitely a highlight of my year!) and generally keeping running. It still amazes me that I’m still “a runner,” now four years into this adventure. I also met one of my 2015 goals by volunteering at a local race. Ready for a marathon medal! – I missed some goals too. I never trained for that faster 10K. I definitely didn’t PR the Papillion Half Marathon. This year, I’ve gotten slower than I’ve ever been. Speed hasn’t really been my focus. 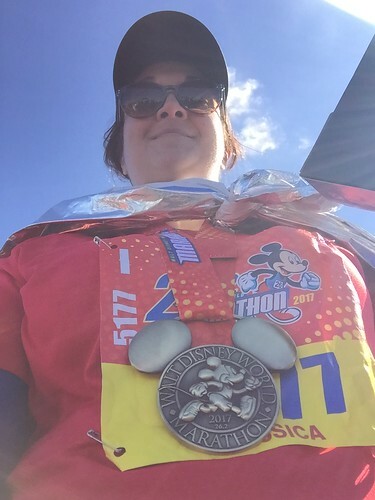 I think, like Patty discussed, that having so much on my plate professionally and with the focus on so much distance between the back-to-back half marathons and the marathon have both distracted me from pushing my pace. I also fell off the strength training wagon yet again. 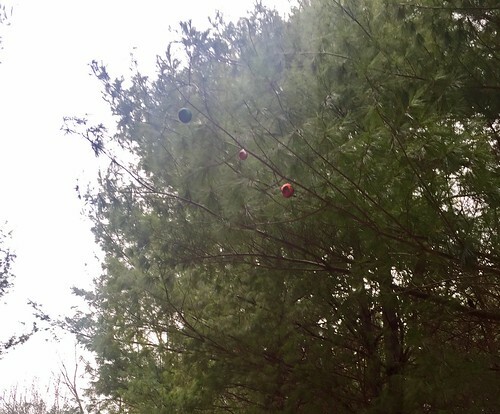 It’s a miracle (knock on wood!) that I’ve stayed injury-free so far in marathon training given that! Like all “failures,” these are definitely a trigger for some self-examination and learning as I look to next year and post-marathon life. Ultimately, all of these ups and downs are things to learn from and to build upon. I’ll be spending the next few days contemplating my goals for next year, especially as I’ll be looking at post-marathon life. I suspect next year is going to focus on things a little shorter and a little speedier after surviving the marathon. How was your year in running? Anybody else feeling ready to be done with 2016 and on to 2017?